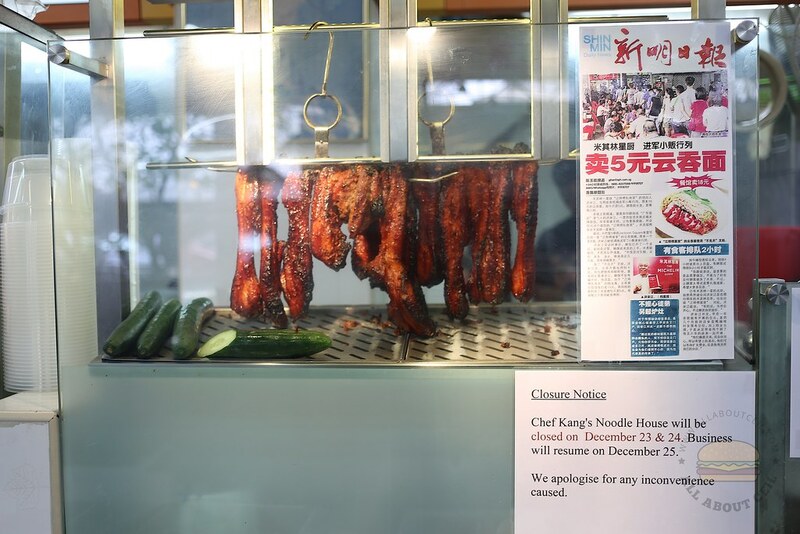 Chef Ang Song Kang, better known as Chef Kang, the owner of 1-Michelin-starred Chef Kang at Mackenzie Road has opened Chef Kang's Noodle House, a hawker stall in Toa Payoh in September. 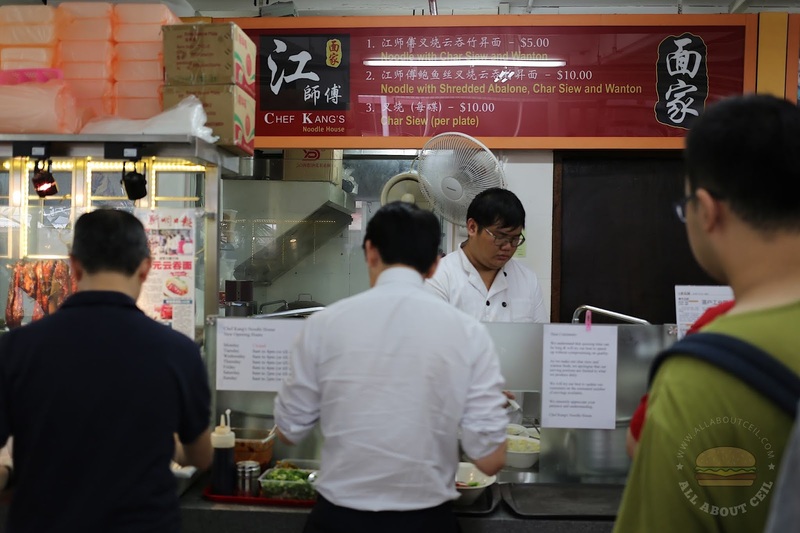 The stall is located in the canteen of Jackson Square selling Wanton Mee. He is working along with Winson Moo, 28 and Frankie Moo, 24, both of them are brothers, from Ipoh, a city in northwestern Malaysia and has been working in Chef Kang for a while. The menu is simple and there are only 3 items on it, Noodle with Char Siew & Wanton ($5), Noodle with Shredded Abalone, Char Siew & Wanton ($10) and Char Siew ($10). There is only the dry and no soup version. We were there at about 12.30 pm and there were just another 3 customers in front. 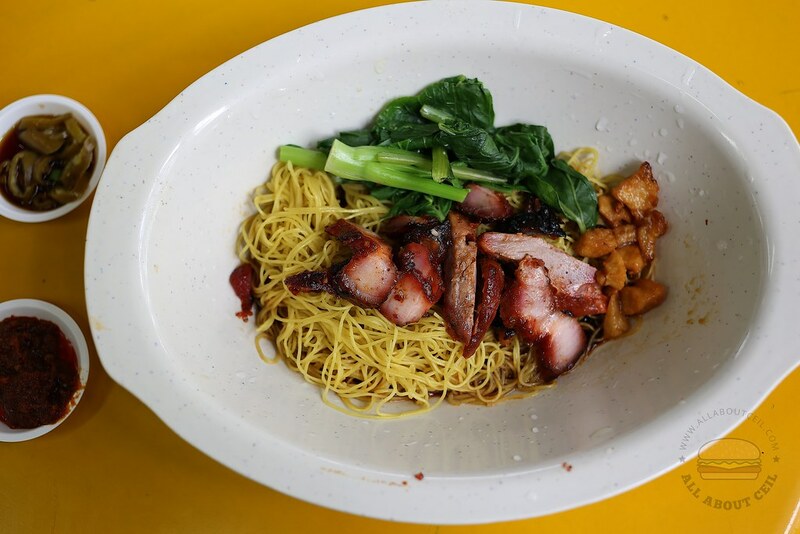 We ordered 2 portions of the Noodle with Char Siew and Wanton for $5 each. The same dish is priced at $18 in his 1-Michelin starred restaurant. Chef Ang was there but it was cooked by Winson then handed over to the chef to top it with slices of char siew and some green before serving. A bowl of soup with 2 pieces of shrimp wantons is served along. 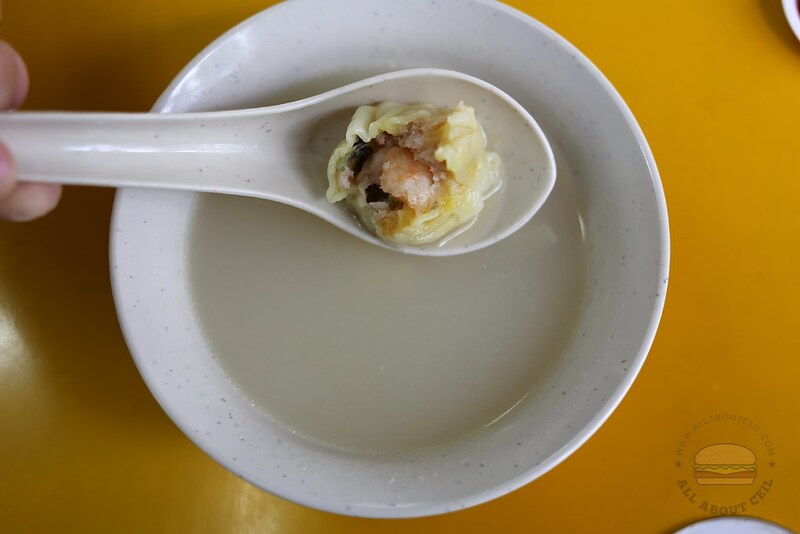 The jook-sing mian, also known as bamboo pole noodles are specially imported from Hong Kong. It is made using the traditional method of riding a bamboo log to press the eggs, flour and other ingredients together. It is not commonly found even in Hong Kong as there is only a handful still making their noodles in this traditional manner. The noodles are the best part of the dish, it was cooked al dente, contributing to its springiness and elasticity before tossing in the soy-based sauce. We did not like the char siew. My dining companion said, "It tasted a bit dry and slightly tough as it was quite lean but the fatter part was nice, though still not as nice as those from Roast Paradise." Though nicely-charred, somehow it was not as flavorful with not a bit of smokiness detected though they roasted it using a charcoal oven. The flavor is quite monotonous and also a little overpowering. My dining companion that does not like chilli actually added a bit of it into his noodles. He said, "It tasted better with chilli. With just soy sauce, the taste was rather flat. Unlike some of the others that added sesame oil to enhance the flavor." The 2 wantons were of the average-sized, it consists of the pork filling together with prawn, some black fungus and bits of water chestnut. The filling was not well-seasoned thus it tasted a little bland. The milky soup is pork-based and tasted a bit like the tonkatsu soup for ramen. When ordering, my dining companion actually requested for an extra amount of those pieces of crispy lard. He said, "They only gave me this much. It did not taste as fragrant and crispy as I liked it to be anyway." 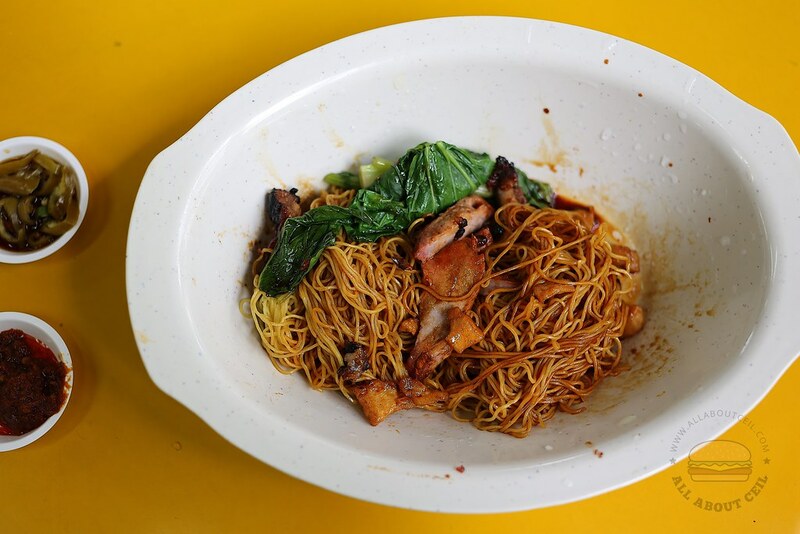 Though not the best Wanton Mee that I have eaten, I would not mind eating it again if there is no queue. I am just glad that I did not queue 2 hours just to eat this.